Happy Good Friday everyone. It's a lovely warm and sunny one here in the UK. 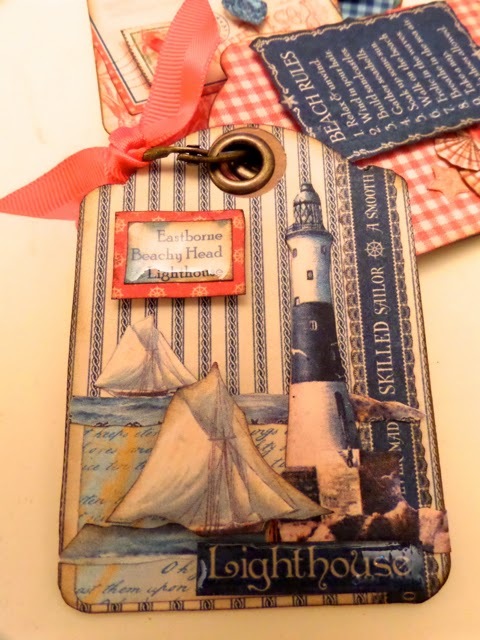 Following on from yesterdays post this is the little ATC tag album that hangs in the bottom of my Punch and Judy box. Its so cute at 3 1/2" tall and was great fun to decorate. 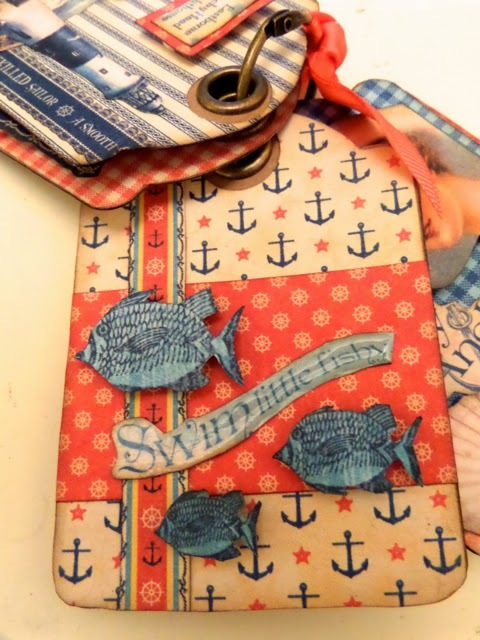 I used elements from both 8 x 8 and 12 x 12 papers for the front of each tag and then the stamps and Denim Blue Adirondak ink to add a little detail to the back. We had a great time last night celebrating with Sian & Amie. Oh to be 21 again lol!! Here they are with their Birthday Cake that Andy (the Crafty Elf) had arranged for them. I've never seen one like it and it tasted soooo good. 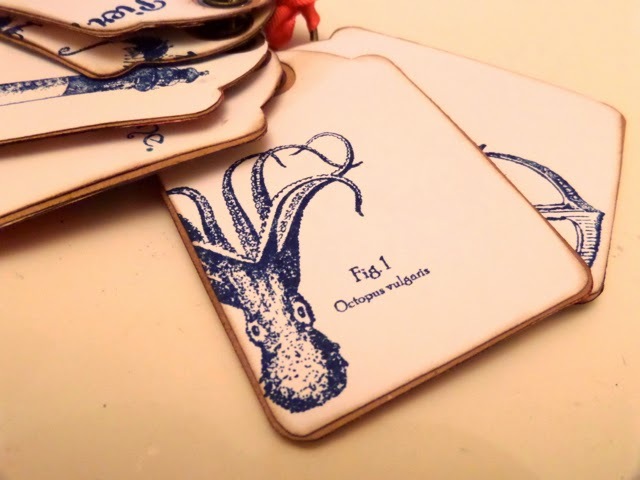 I'm off to Colemans Craft Warehouse in Rushden tomorrow to run a couple of workshops. Looking forward to seeing you all. 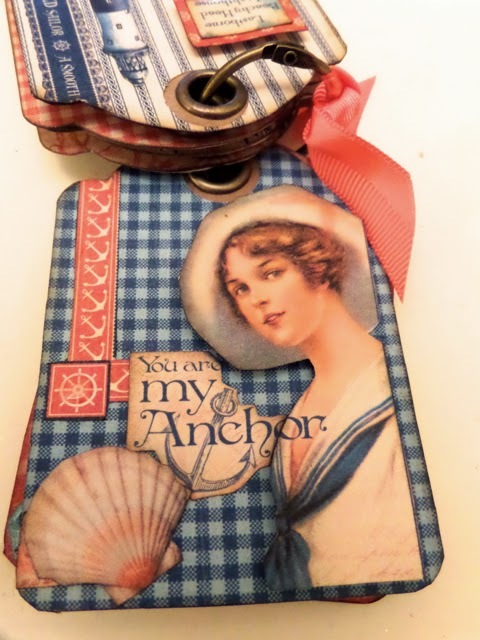 Gorgeous tags and loving these papers. Beautiful photographs and that cake looks fabulous. Happy Easter! What an absolutely stunning project, I love it! 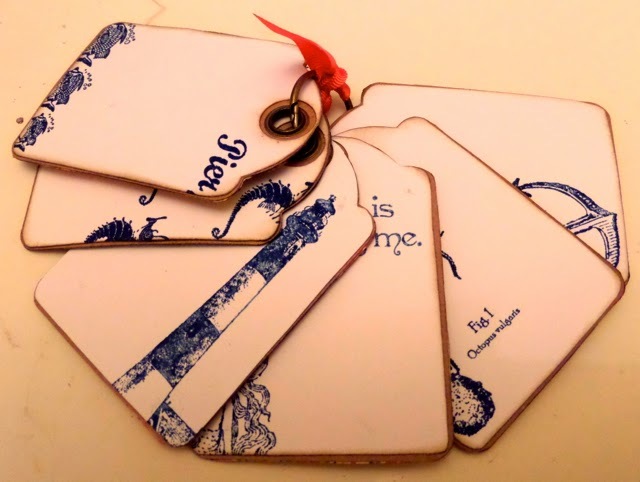 Beautiful tags. You are so creative! 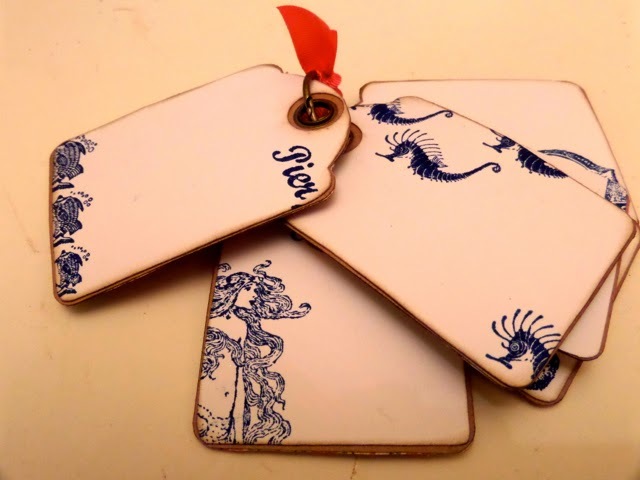 these are gorgeous tags Clare. Morning Clare!!! 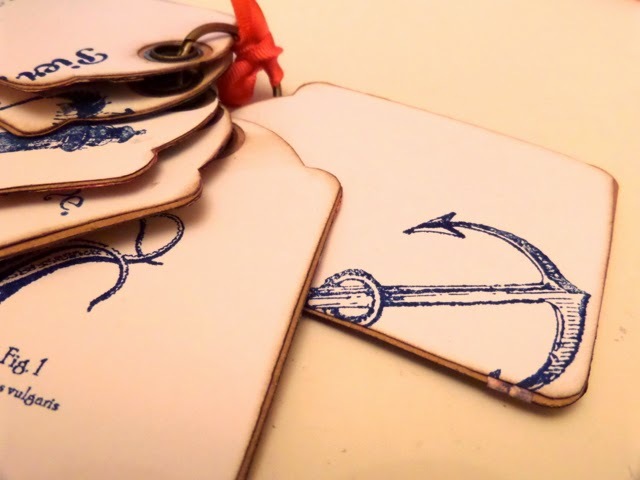 Tags are really cute, one could put their vacation pics on the back couldn't they. The birthday for the twin lets looked so cute, the cake was precious!!! Girly girls to be sure!!!! I finished cutting out the heart pages for the albums for my boxes last night so will be off to the crop to get them all decorated and put together!! Thanks for your great inspiration!!! Have a wonderful weekend, Happy Easter and enjoy your workshops, hello to everyone!! 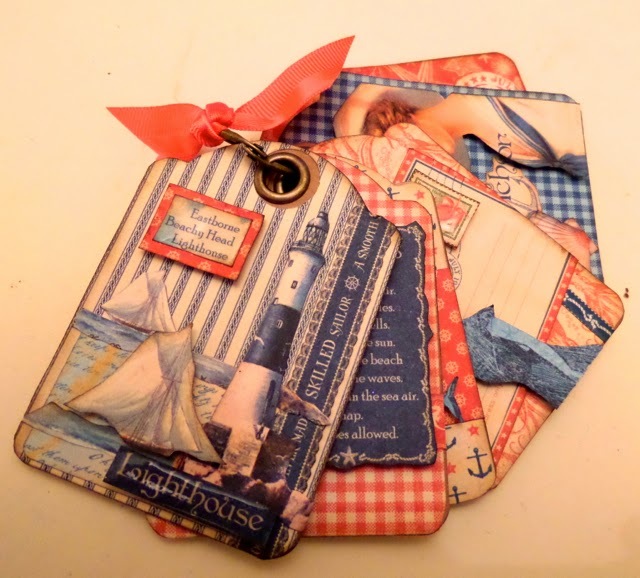 What a great idea - not seen an ATC tag album before - I just love it - super colours and papers. 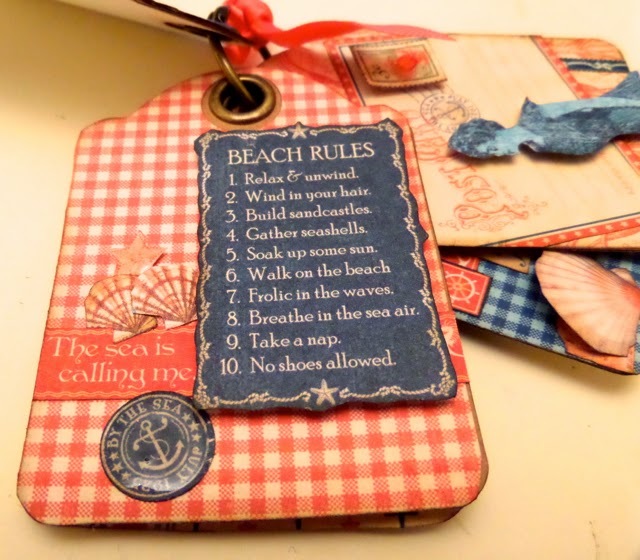 Good evening Clare, I'm just loving the tags album and have to say your Punch & Judy "theatre/box was just fab. I'm pleased to say I now have my full set of By The Sea "stash" and intend to make good use of it over the coming couple of months once I've drooled over it and stroked it a couple of hundred times. Thanks for sharing this project and your photos of course (both girls look stunning). As you say Oh! to be 21 again - I just wish I could remember that far back. Enjoy the rest of your evening and Happy Easter to you and yours. 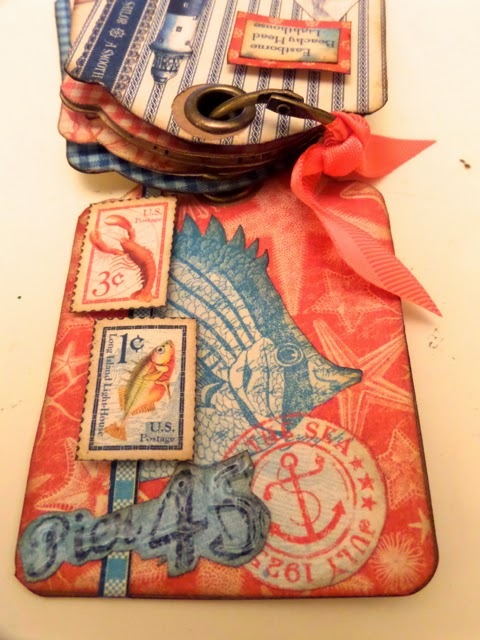 Fabulous ATC album, love those papers. 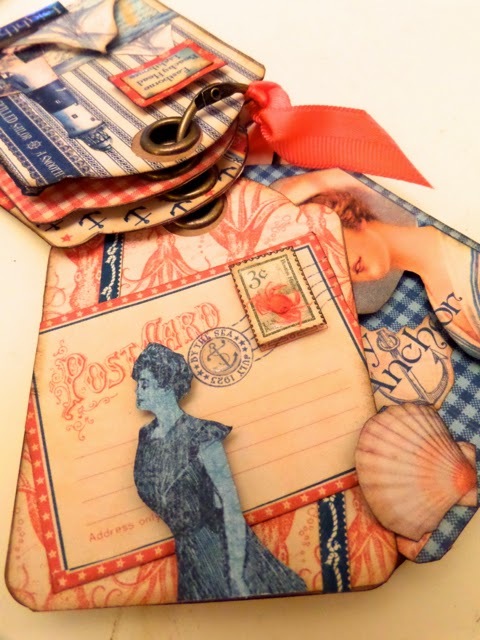 Hi Clare, Very pretty tags for the album, By the Sea is a gorgeous collection, and edged with denim blue it complements perfectly. 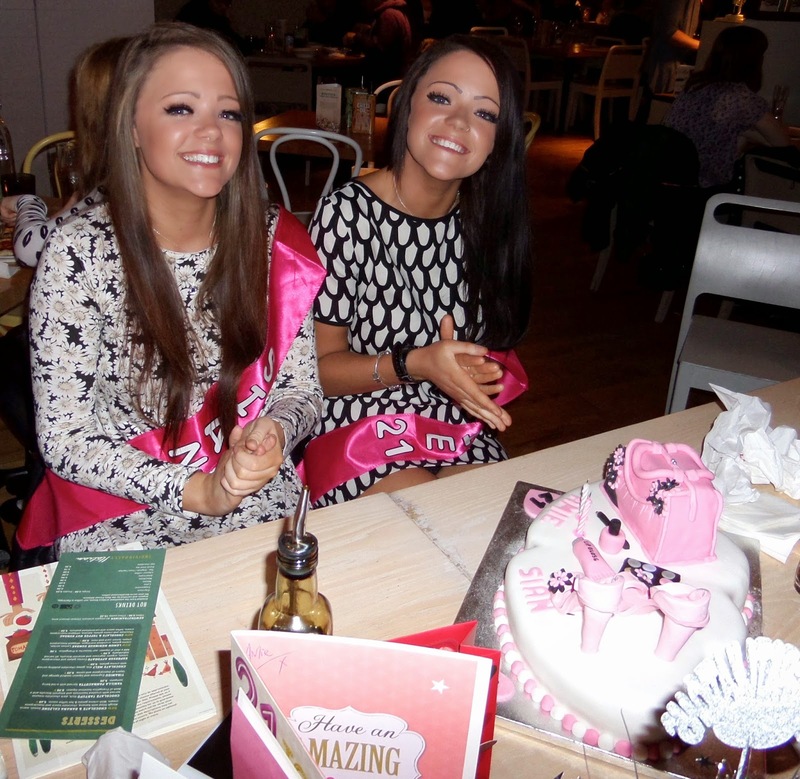 Beautiful piccies of the Birthday girls', and the cake looks fabulous, I echo your sentiment 'Oh to be 21 again', it seems such a long time ago but 'only yesterday' if you know what I mean !! I'm in full swing Church mode this week, I have been helping clean the Church today, it looks gorgeous in readiness for tomorrow. I will be up very early for the dawn Service at 6.30, then we have breakfast at Church afterwards, then home and get ready for the 10.30 Service, I really love the Eastertide services but they are so 'emotional'. congratulations Clare. An honor so deserved. I love all of your designs.